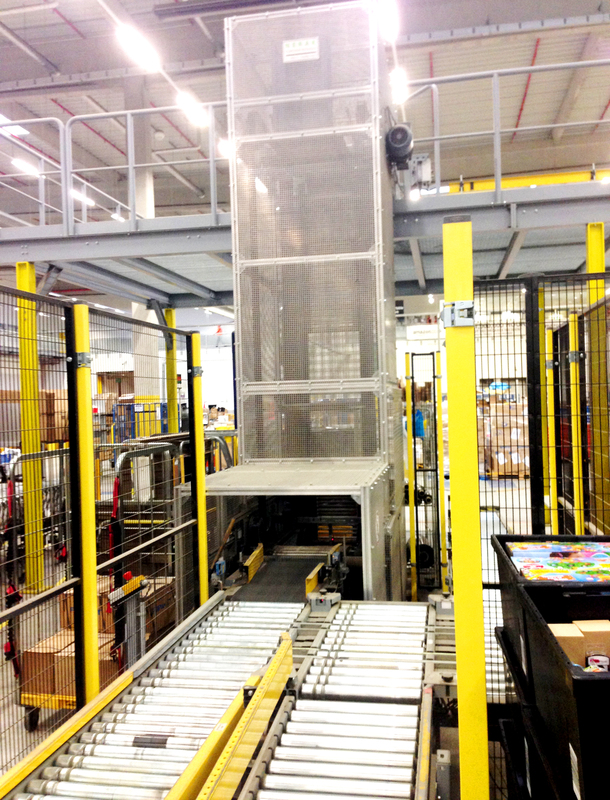 Box, Tote & Carton Lifts – commonly used for moving the load vertically from one level to another. 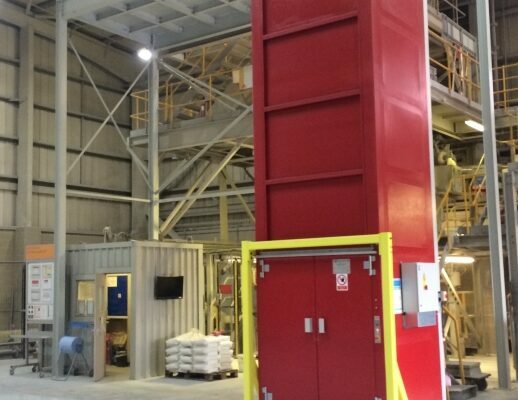 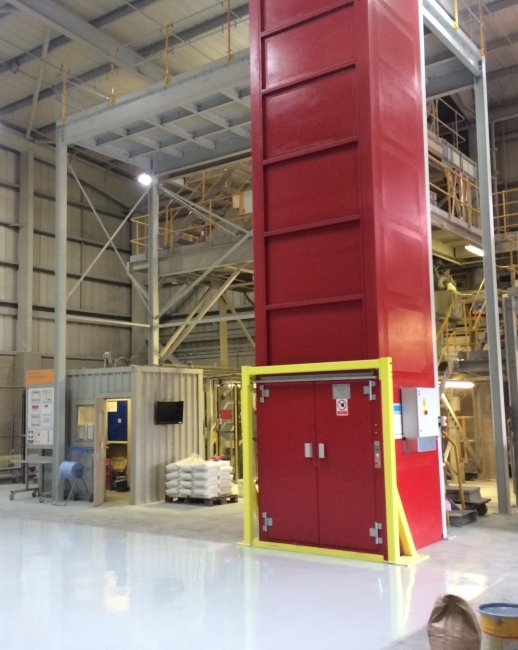 Bucket elevators – are available in both continuous and pendulum configurations and are used for transporting items such as bulky aggregates, food stuffs or powders for example. 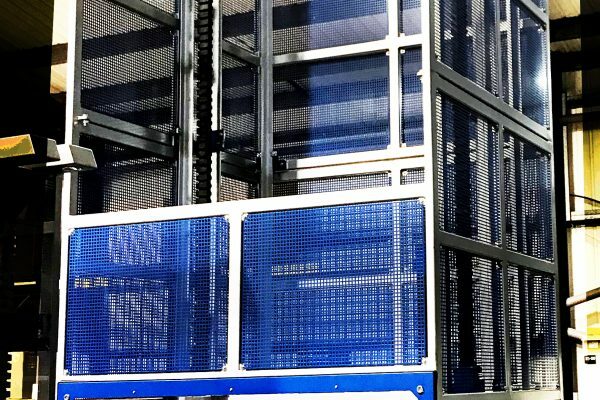 Pallet lifts – various products but usually include standard pallet lifts, heavyweight lifts and goods lifts all designed to lift loads and pallets at speeds of up to 1 metre per second. 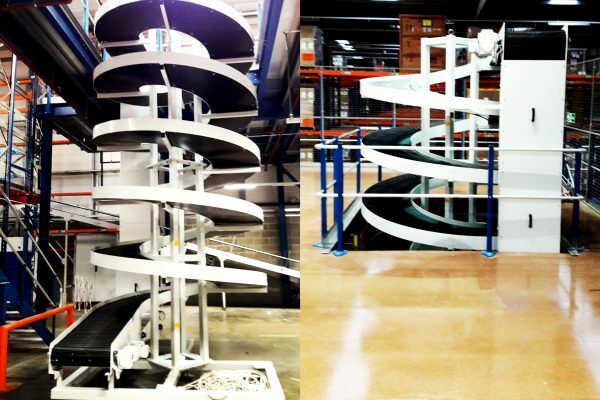 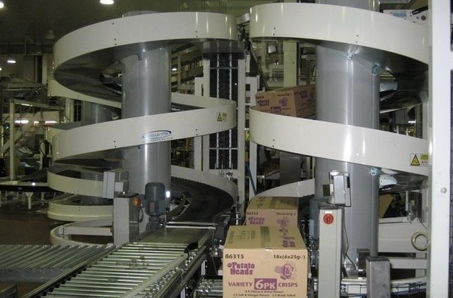 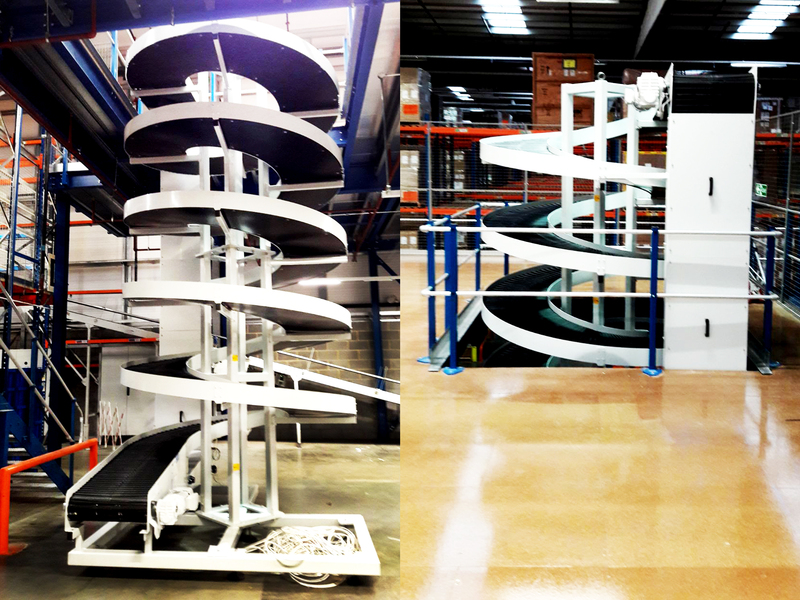 Spiral Elevators – are used as a solution for continuous throughput of product whether it be boxes, cartons or totes. 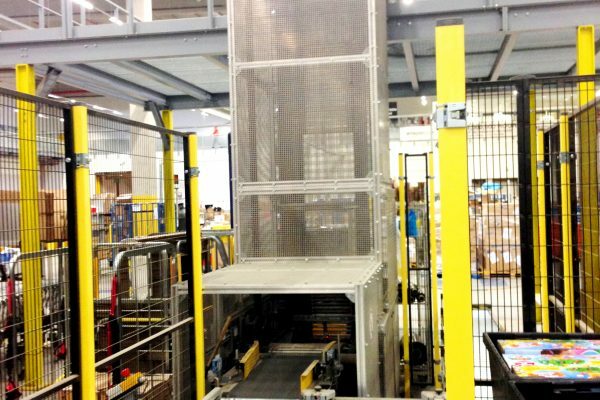 Usually employed as a space saving solution in warehouses and distribution centres as a method of vertical transportation.